Siwa & Figli Super Quattro Yavor - Unique Instrument ! 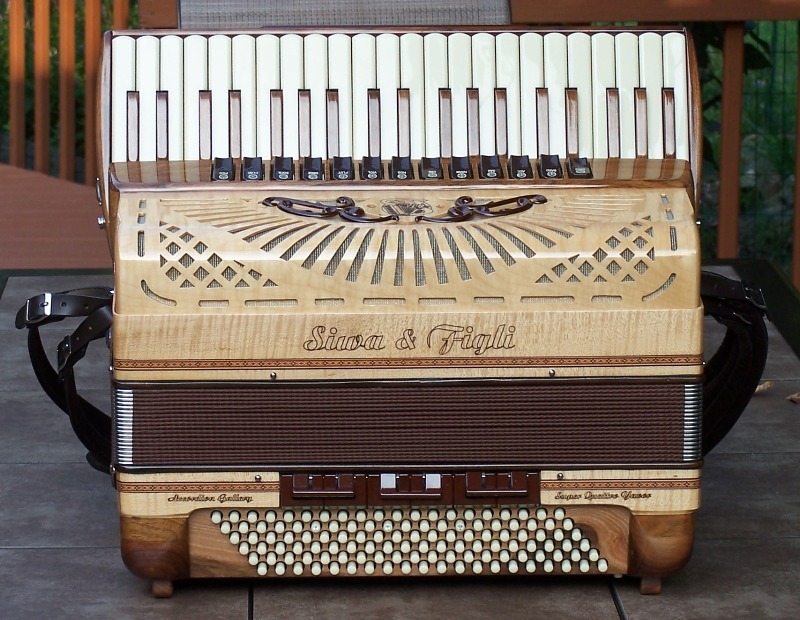 In 2009 Siwa & Figli and the Accordion Gallery introduced a special Accordion Gallery Line of instruments. 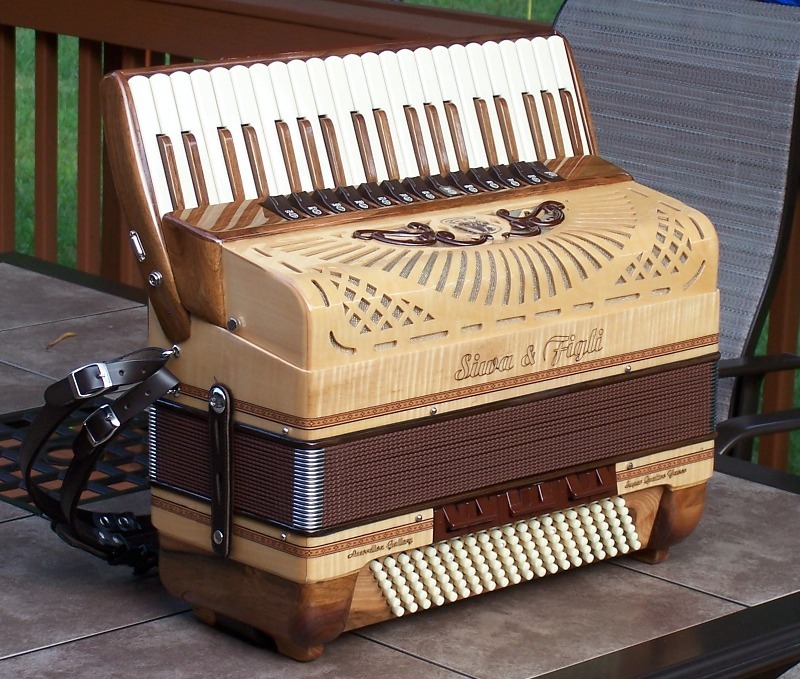 Each accordion is absolutely unique. 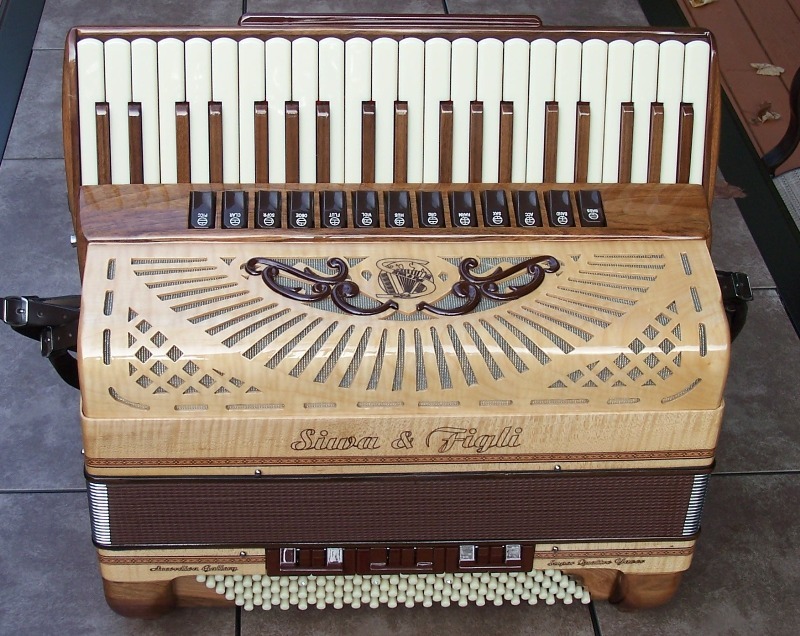 The accordion body including the grill and the side bass cover is carved from rare selection of naturally aged woods. 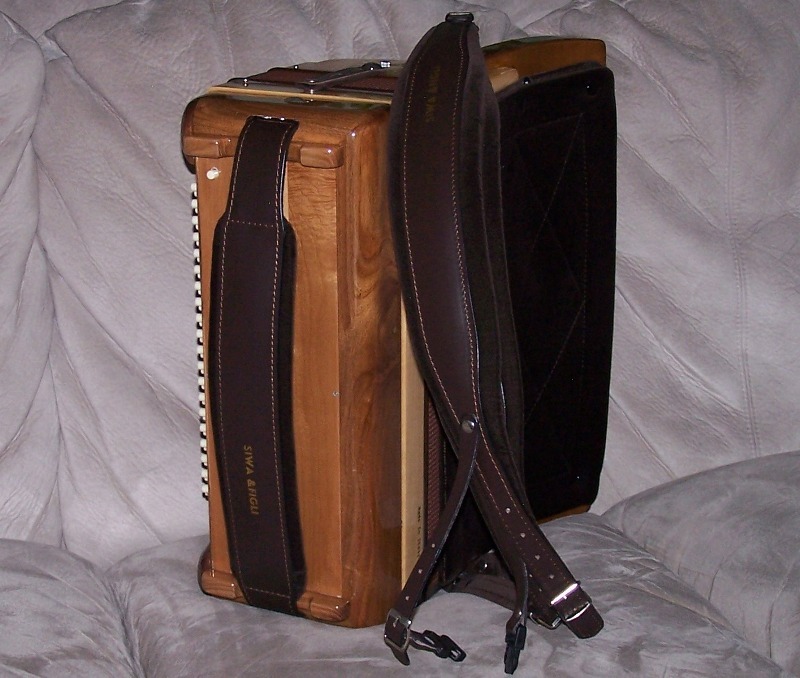 The body is varnished in the tradition of violin making and not covered in Polyurethane. 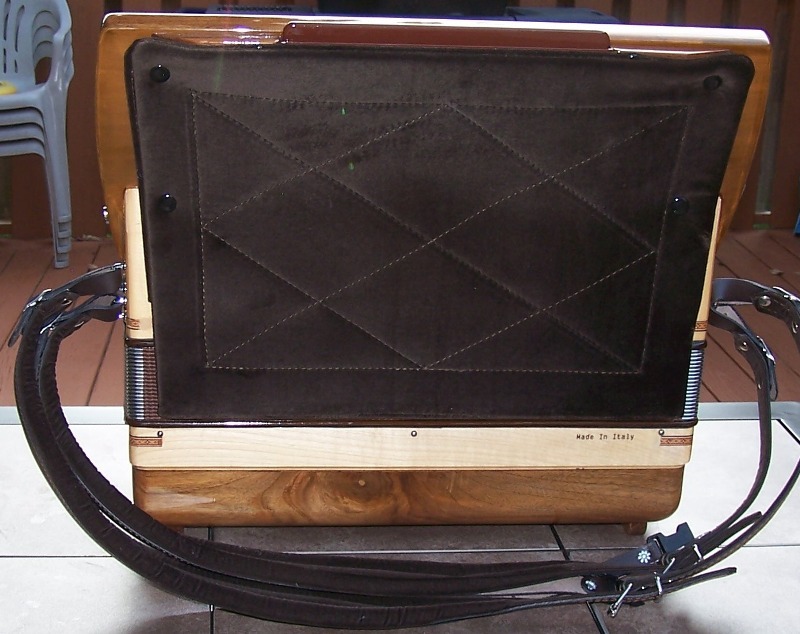 The results are amazing - enhanced natural wood grain and improved sound projection. The tonal characteristics are based on the wood selection and could be jazzy-dark or polka-bright. Each instrument features the best quality hand made reeds available today, genuine Italian leather reed valves, double tone chamber, precise mechanics, and ergonomic body design optimized for best feel and ease of handling. 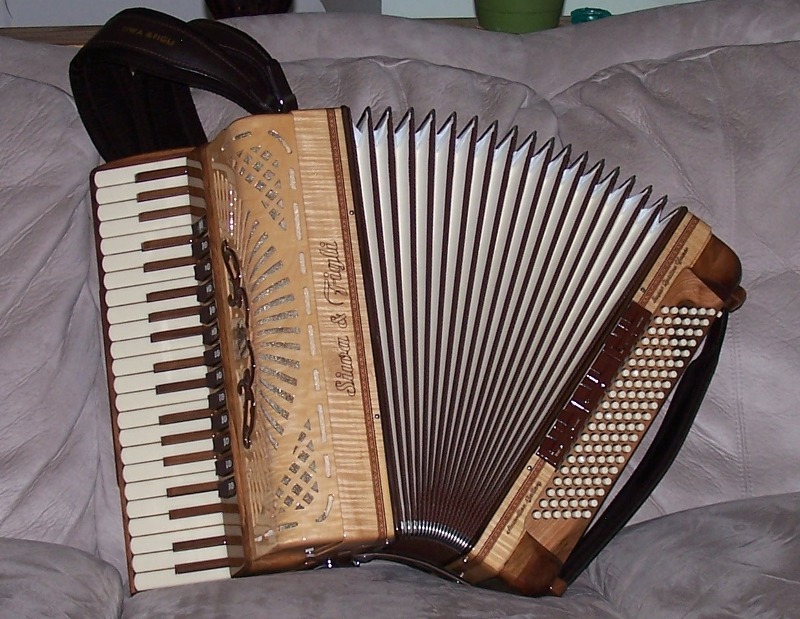 It is extremely difficult to find properly cut and aged wood for making musical instruments. 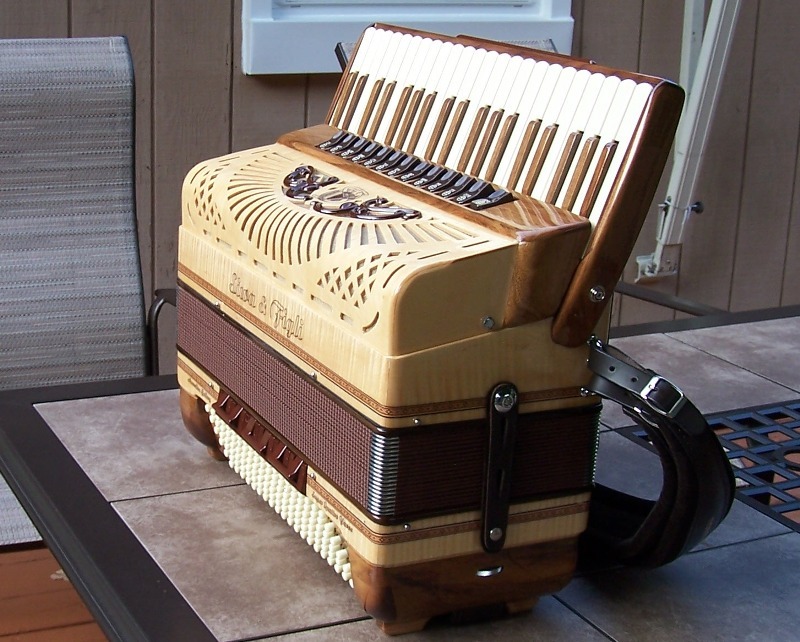 It takes over a year to craft one of these special accordions. Each instrument radiates warmth. 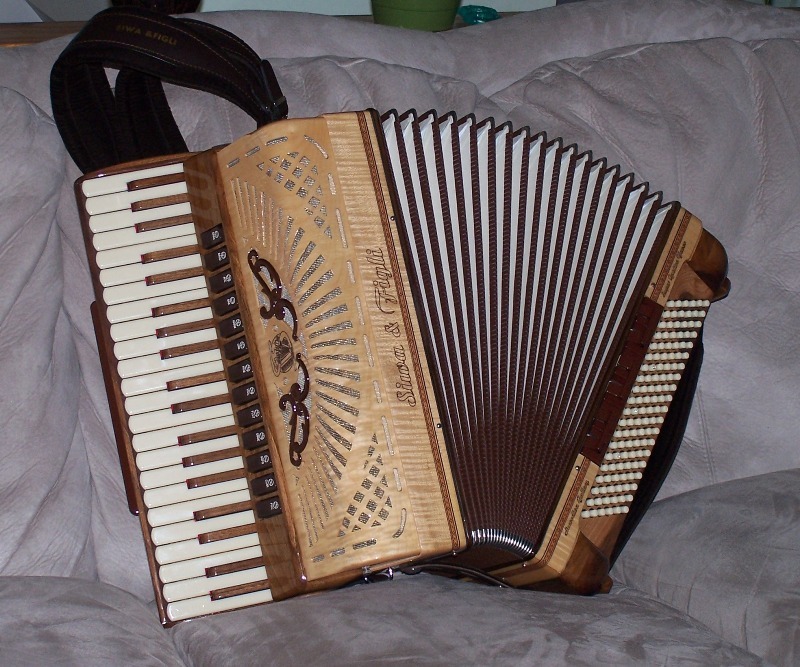 The tonal characteristics are as unique as the design and appearance of the accordion - truly fantastic! 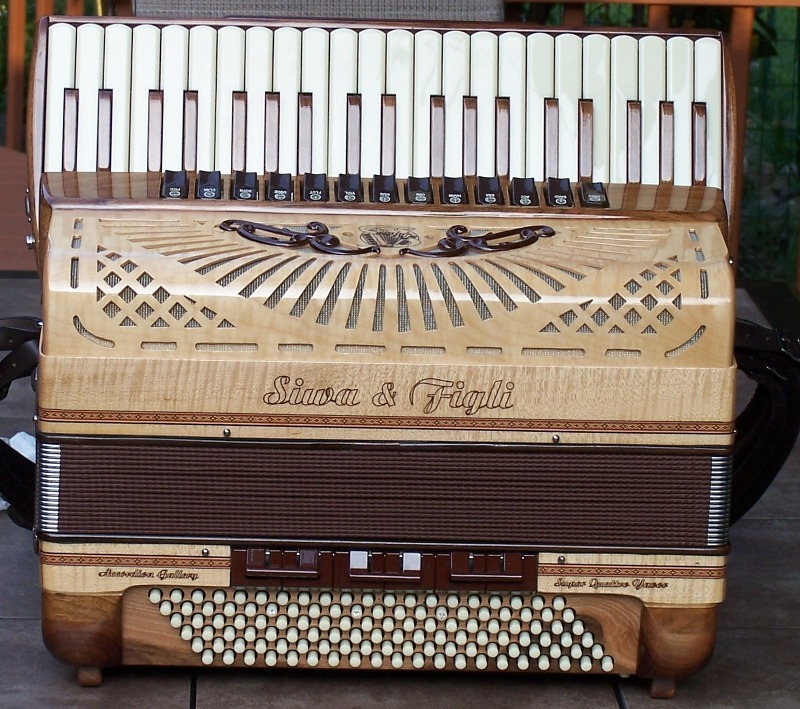 The classic Super Quattro carved from aged "yavor"
Here is a video demo courtesy of Dave Magliozzi: Manhã De Carnaval played with this particular instrument.